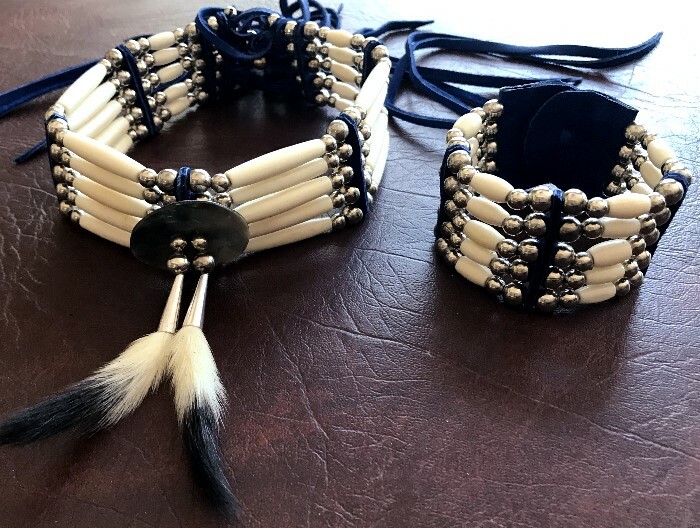 Gary named this super clean choker & bracelet combo “The Royal”. 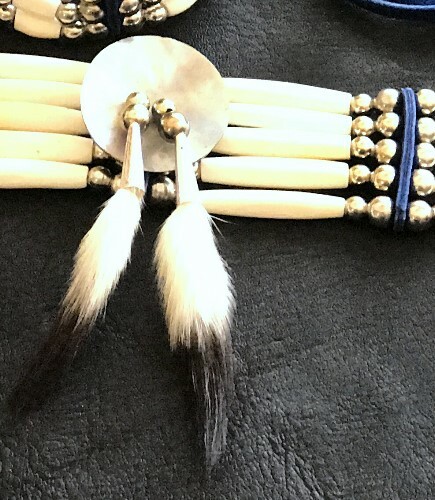 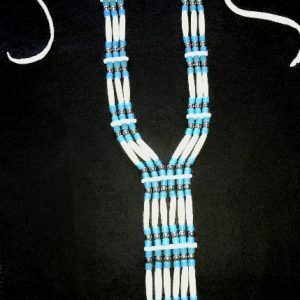 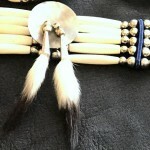 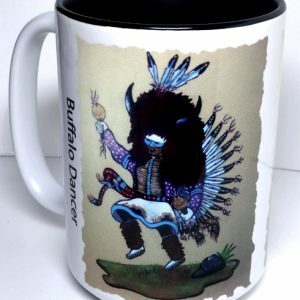 It features 5 rows of whitened buffalo bone hair pipes with nickle metal beads. 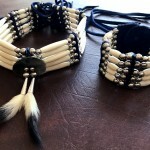 The leather is hand cut, blue buckskin which is soft & supple & very comfortable for wearing with no scratching or biting. 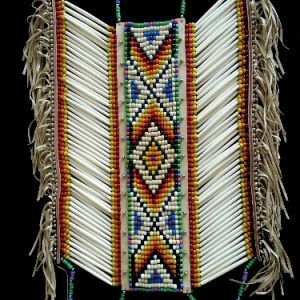 There is a nice cluster of fringe at both ends of the choker along with leather ties. 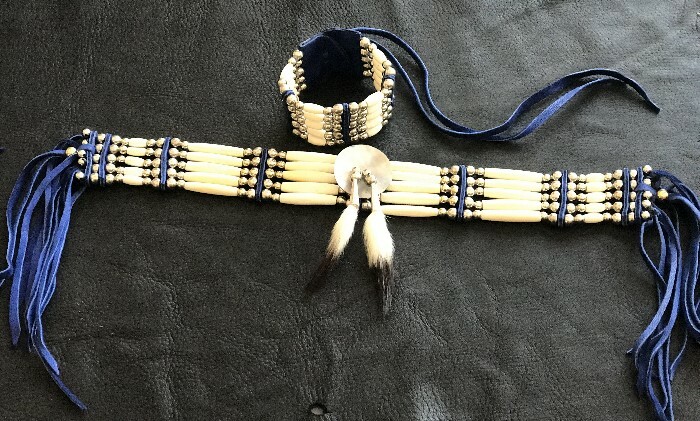 The bracelet is made with the same soft blue buckskin & has a one hand closure. 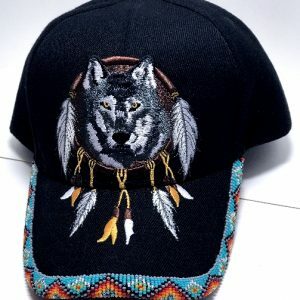 This classy combo well dress up your regalia or regular street wear.